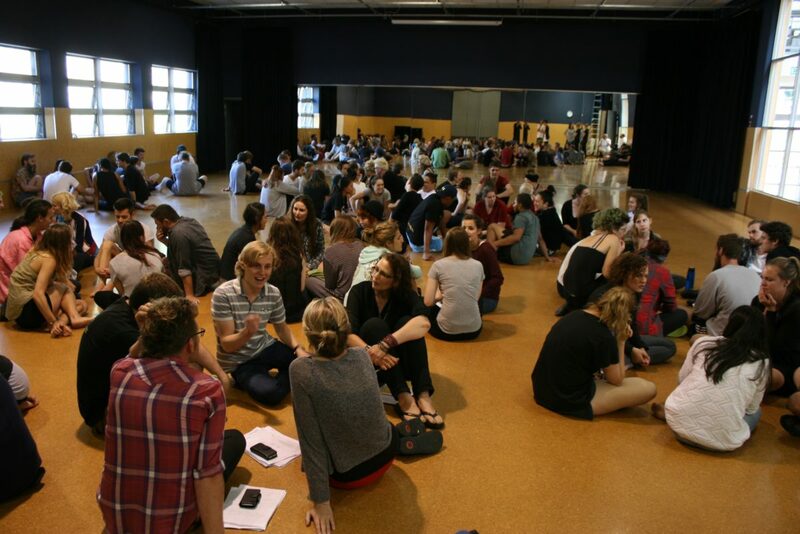 In my last blog, I was raving about the golden leadership nuggets being offered up at Te Kura Toi Whakaari o Aotearoa: New Zealand Drama School (Toi Whakaari) – particularly the ground-breaking leadership programme at the school, Ruku Ao. And, I have been literally DYING to tell you this exciting news. I was so impressed by the school and its leadership programme, I decided to partner with them to provide a unique scholarship for leaders. This is the first scholarship of its kind, providing an opportunity for leaders to attend Ruku Ao next year. The Leader’s Digest Scholarship is open to leaders who may not have otherwise been able to attend the Ruku Ao programme, due to lack of funding. I was inspired to create the scholarship opportunity after seeing the profound positive impact of the programme on senior leaders. I think every leader should be given the chance to attend Ruku Ao – including those organisations where funding is limited. Ruku Ao is a trailblazing programme designed uniquely for New Zealand leaders, assimilating cultural learnings and innovative leadership techniques, in order to help people become more collaborative in their leadership practices. Participants ‘window in’ on the intrinsic arts and marae-based practices, values and culture that underpin Toi Whakaari, in order to leverage diversity, build group emotional intelligence, and ultimately become more effective leaders. Adam Cooper, Co-founder of Ruku Ao, says the leadership initiative is part of a global shift in how leadership training is undertaken. “Gone are the days of sitting through lengthy powerpoint presentations. The demand for experiences that foster creativity, curiosity and the ability to work well with diversity is too compelling to ignore. “New Zealand has one of the most ethnically diverse populations on the planet. When you place this alongside our world-class public sector and vibrant creative sector, we have a great opportunity to transform how people learn and work. “Ruku Ao is about how we explore this opportunity, how we create learning, innovation and collaboration out of the unique capacities we have in this country. “This leadership programme grows people’s capacity to respond well to their context. Less than a year after completing Ruku Ao, 70% of the 2014 participants have taken on more responsibility in their workplaces. As a result of participating in the Ruku Ao programme, we are seeing leaders work more confidently in complexity and be more astute when working in groups and across boundaries – vital skills in responding to the volatile, complex and ambiguous conditions that organisations face today. If you are interested in The Leader’s Digest Scholarship or want to find out more, don’t delay – this opportunity won’t last long and there is a tight turnaound for applications. Go to theleadersdigestscholarship.com for more information or to apply. Or, you can contact Adam Cooper directly on 021 746 222. Have questions about The Leader’s Digest Scholarship? Or maybe you have attended Ruku Ao and would like to share your experience? I would love to hear from you – please leave your comments below.